One of the downsides of us owning rats is there short lifespans and tendency to fall ill. This becomes increasingly common in older age, though there are challenges that can affect our rats through their full lives. There is fortunately a lot of information out there on the various issues that affect our lives. Of those probably the most reliable is www.ratguide.com which has reference sheets on illnesses and medication which are also very vet friendly (I recommend printing them out and taking them along if your vet isn’t very rat savvy). 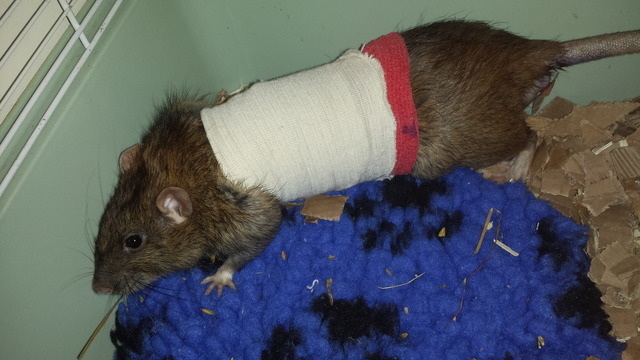 This section will mainly focus on summarising some of the most common health issues that can affect our rats along with information on how to support them and tips on what to expect from your vet. This section will cover a number of different topics. Please click on the link below to get to the right page.